The BGIS interactive maps has various tools that allows users to view, analyse or edit. Once maps have been edited users can print or export the map. Click on the “Tasks” tab icon found at the top, left side of the Map Window. Click on the “Print” button. 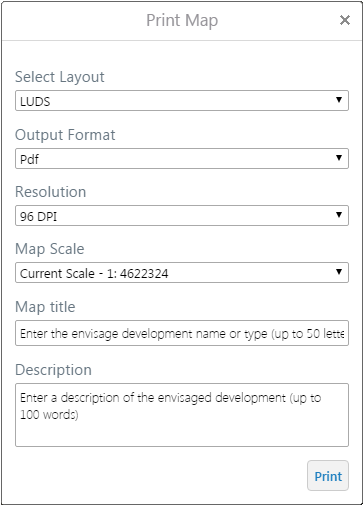 Customize the interactive map by adding a map title and description, setting the map scale and creating a printable file in either an image (.jpeg, .bmp, .gif, .png) or .pdf format. When the map is ready, click on the “Open File” button. The map should then open in the browser. Save the map. To convert the annotated map to an image, click on the “Export” button. Tick the “Include Georeference Data” button if the spatial reference is required. Once the image is created, click on the “View Image” button to download and display the image. 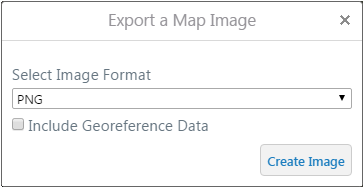 If “Include Georeference Data” was checked, the image will download automatically as a zipped folder. If it was left unchecked the exported image will open in the web browser and needs to be saved.